When it comes to protection out on the rugby field, your mouth is just as important as any other part of your body. 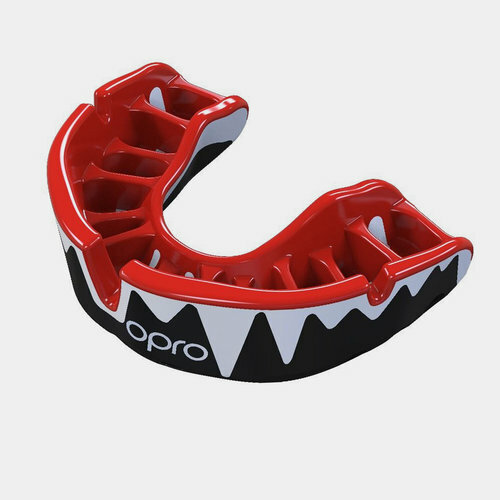 Made by Opro, the world's largest supplier of custom mouth guards, the OproShield Platinum Fangz Mouth Guard offers high impact protection to give you the confidence to go into any challenge. 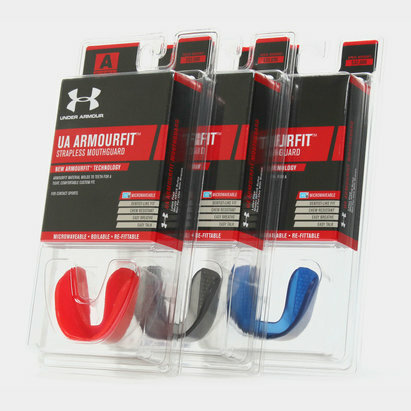 For added protection, this particular mouthguard comes equipped with a 'Concussion Absorption Layer' – designed to protect your teeth and soft tissue from blows through the lower jaw. 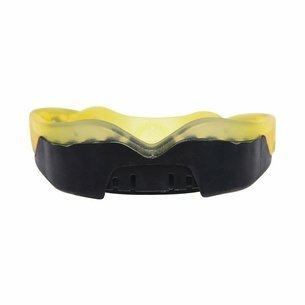 Protection and features aside, what truly defines this mouth guard is the truly unique look. Created for an imposing look on the rugby field, a design of fangs in black, white and red will really put the fear into your opposition. This mouthguard comes complete with a carry case, 'how to fit' CD, fitting handle and air spacers.